Cargill Inc. said Saturday it is recalling more than 1 million pounds of ground beef that may be contaminated with E. coli bacteria, the second time in less than a month it has voluntarily recalled beef that may have been tainted. 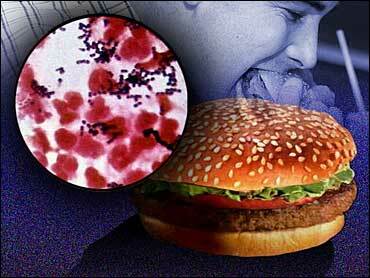 No illnesses have been reported, said John Keating, president of Cargill Regional Beef. The agribusiness giant produced the beef between Oct. 8 and Oct. 11 at a plant in Wyalusing, Pa. and distributed it to retailers across the country. They include Giant, Shop Rite, Stop & Shop, Wegmans and Weis. Cargill learned the meat may be contaminated after the Agriculture Department found a problem with a sample of the beef produced on Oct. 8, the company said. The bacteria is E. coli O157:H7. A spokeswoman for Cargill said 10 states are included in the recall  Connecticut, Maine, Maryland, Massachusetts, Michigan, New Jersey, New York, Ohio, Pennsylvania and Virginia. "We are working closely with the USDA to remove this product from the marketplace," Keating said in a statement. Spokeswoman Lori Fligge said the company had no further comment. Amanda Eamich, a spokeswoman for the USDA Food and Safety Inspection Service, said her agency will work with Cargill to track the approximately 1,084,384 pounds of beef that could be contaminated and remove it from store shelves. "We do look in all directions to ensure that products that could be contaminated are not available to consumers," Eamich said. On Oct. 6, Cargill voluntarily recalled more than 840,000 pounds of ground beef patties distributed at Sam's Club stores nationwide after four Minnesota children and four Wisconsin adults who ate the food developed E. coli illness, which is the same strain that was detected to prompt the latest recall. A lawsuit is pending from that outbreak. Eric and Jennifer Gustafson of Inver Grove Heights say their 4-year-old daughter, Callie, was hospitalized for about a week in September with an E. coli infection and has been permanently injured from the illness. Their 18-month-old son, Carson, also became ill and is still recovering, the lawsuit said. In late September, Topps recalled 21.7 million pounds of its patties  the second-largest U.S. beef recall  and then closed its business. E. coli is harbored in the intestines of cattle. Improper butchering and processing can cause the E. coli to get onto meat. Thorough cooking, to at least 160 degrees internal temperature, can destroy the bacteria. People with questions about the recall are asked to call Cargill at (877) 455-1034. Cargill Meat Solutions, based in Wichita, Kan., is the umbrella organization of Cargill's beef, pork and turkey businesses. The Wyalusing plant produces 200 million pounds of ground beef annually. Cargill Inc., based in Wayzata, Minn., is one of the nation's largest privately held companies. It makes food ingredients, moves commodities around the world and runs financial commodities trading businesses.